Between 2011-2020, the Government of Canada through Global Affairs Canada, is providing over $6.49 million to PWS&D for development programming. PWS&D’s government funded programs focus on Afghanistan and Malawi. Funding from the government of Canada helps maximize Presbyterian contributions to PWS&D. PWS&D currently has two programs funded through Global Affairs Canada. 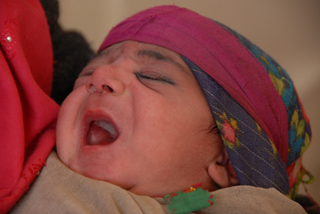 Support for PWS&D’s maternal health programs is helping women and children survive childbirth more often, lead healthier and stronger lives, and make informed decisions that will improve their health, well-being and quality of life. PWS&D is working with local partners to improve the quality of mother and child health services and overcome cultural barriers that prevent women and children from receiving essential pre and postnatal care. Health facilities are being established and upgraded, midwives and skilled birth attendants are being trained and emergency communications referral systems are being strengthened to ensure women receive care throughout their pregnancy. Communities are being taught about the importance of maternal health, family planning and the needs of mothers, newborns and children. Men, community elders and religious leaders are also involved in the process – ensuring women receive the support and care they need. Through improved health care services and enhanced community support, women are seeking and receiving prenatal care and giving birth in the presence of skilled birth attendants – increasing the likelihood of safe pregnancy and delivery, and improving the lives of children. One of the poorest countries in the world, Malawi is faced with providing services for a population of more than 15 million people. About 67 per cent of the total population is under age 25 and youth unemployment and underemployment continues to be a significant issue, especially when considering a national unemployment rate of over 20 per cent. PWS&D, through our Global Affairs Canada-funded Building Sustainable Livelihoods programs is working to improve sustainable economic livelihoods for nearly 50,000 people living in poverty over a five-year period, with a special focus on young women and men. 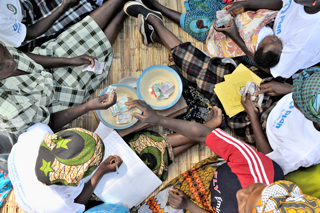 PWS&D partner organizations in Malawi are combating poverty by promoting education and vocational training, work opportunities, financial management, healthy practices and gender equality. Women, men and youth will be trained with skills to help them generate higher household income and will promote gender equality as a foundation for a sustainable livelihood. At the centre of the program’s sustainability are community and volunteer groups – women’s savings groups or committees supporting the care of orphans and vulnerable children. These groups, through training provided by the program will transform into lasting structures to meet their community’s needs. Strong community ownership of development activities adds to the program’s successes. PWS&D also works in partnership with the Government of Canada during times of disaster. PWS&D accesses food aid funding through Canadian Foodgrains Bank, such as during the East Africa famine. Collaboration with other denominations under Canadian Churches in Action has helped PWS&D secure Canadian government funding for non-food responses to disasters, like shelter kits during the 2011 floods in Pakistan and housing reconstruction after the 2005 Indian Ocean tsunami. Your donations to these programs are maximized through additional funds from the Canadian government through Global Affairs Canada. Make a donation today!